Save the date! The 23rd annual HRC National Dinner will be held on Saturday, Sept. 28, 2019. The Human Rights Campaign is the leading national advocacy organization working for the equal rights of lesbian, gay, bisexual, transgender and queer Americans through education, research and political activities. 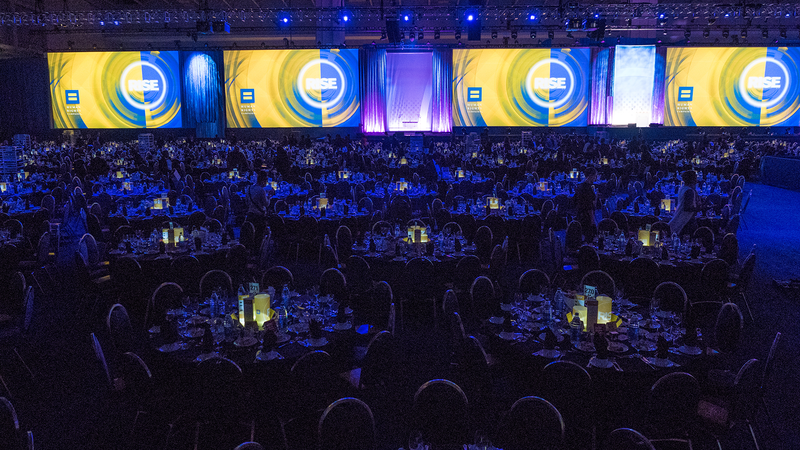 The HRC National Dinner brings together more than 3,600 HRC members, friends, families and allies for an evening of celebration and inspiration. Featuring a cocktail reception, an extensive silent and live auction, an elegant dinner, live entertainment and thought-provoking speakers and guests, the HRC National Dinner attracts the nation’s top figures in entertainment and politics. The HRC National Dinner is held at the Washington Convention Center, 801 Mt Vernon Pl NW, Washington, DC 20001.